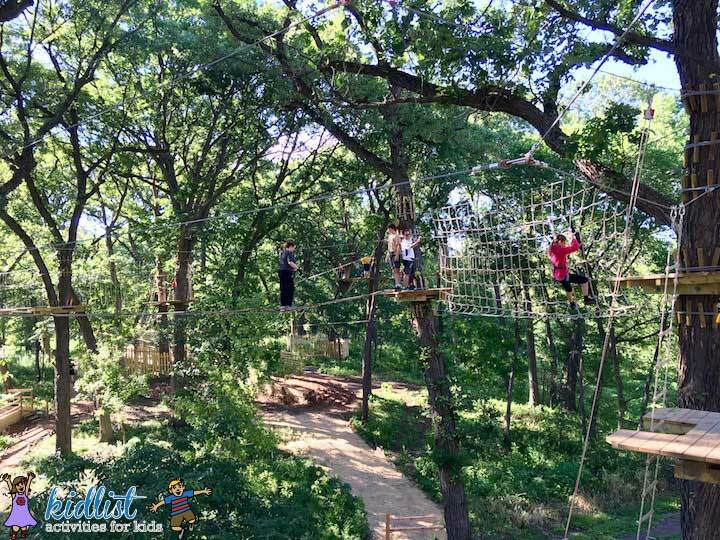 When it was first announced that there were going to be zip lines at Bemis Woods in Western Springs I was so excited. Then I saw the price and thought, it’s that much to just go down a zip line in the forest preserve?! 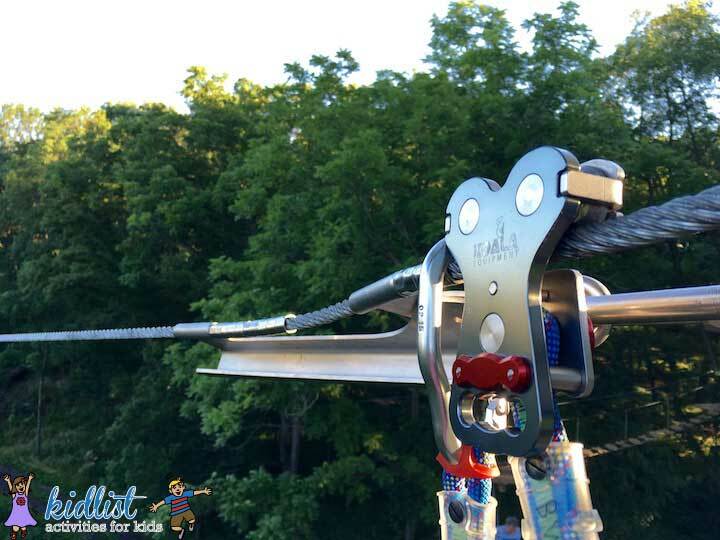 The thing is, it’s not just a zip line. It’s even more exciting and fun than that! My husband and I went yesterday afternoon and were there about three hours crossing rope bridges, swinging through the trees like Tarzan, balancing on logs, and then zipping down the lines at the end of each section. It was so exhilarating! When you arrive at Go Ape you sign a waiver in the hut and have the option to buy gloves. I brought a pair of old gardening gloves with me and my husband brought work gloves, which both worked great. At first I thought wearing gloves would be cumbersome and get in the way, but I’m glad I brought them and would recommend doing that. The Go Ape team said it’s not necessary to wear gloves and I’m sure it would be okay, but you might get blisters holding on to cables along the way and I didn’t want to chance it. Next, you meet with your group for the instructions and safety checks for about a half an hour. A team member secures your harness and teaches you how to use the trolley system. The harness has a three point safety system and every time you enter a new section of the course you connect to it. It was a little overwhelming to remember the order to connect and the procedure at first, but Go Ape color coded the carabiners, which helped a lot. After the first pass you feel like a pro and there are also team members along the way to double check and answer questions, especially in the beginning when you’re getting used to everything. I felt very secure with the equipment and confident that I could manage it. It’s important to note that there are five sections to the Treetop Adventure, each building in excitement and height. I had thought that after the first practice section it was one continuous course and you weren’t able to stop in the middle if need be. Not so. You complete each of the five sections separately and even within the sections, there are some choices between moderate and extreme challenges. I really liked that we could choose what we felt we could handle and were comfortable with. The Go Ape website explains it well when it says that the Treetop Adventure Course requires a degree of physical fitness, but if you can climb up a rope ladder you should be fine. The minimum age for the course in 10 years old. Minimum height is 4ft 7in (55 inches) and maximum weight is 285 lbs (subject to harness fit). The maximum waist measurement of the harness is 43 inches and the leg loops (which go around the top of your thighs) is 28 inches. Closed toe and closed heel shoes are required. I would recommend some type of gym shoes. I would also note that it gets chilly in the shade of the trees, so keep that in mind when getting dressed for your adventure. If you’ve ever gone for a bike ride in the forest preserve, you know what I mean. Go Ape mentions that you should wear something that you don’t mind getting dirty. If the ground is wet, I can imagine you might get a little muddy, but otherwise the only risk you run is getting mulch on your clothes. Please note that the course remains open in all weather conditions, except when it is icy, thundering, or during lightning. I brought my own gloves and was glad I had them. If you don’t have any you should pick some up before you go or purchase them from Go Ape when you get there. I brought my cell phone so I could take photos, but I had really deep pockets in my pants. If your phone sticks out of your pocket or you don’t have pockets, you definitely should leave your phone in the car. I didn’t feel like it was necessary to bring anything else, but if you want to bring a little water bottle or anything else, it needs to be secured close to your body so it doesn’t fall or get in the way. 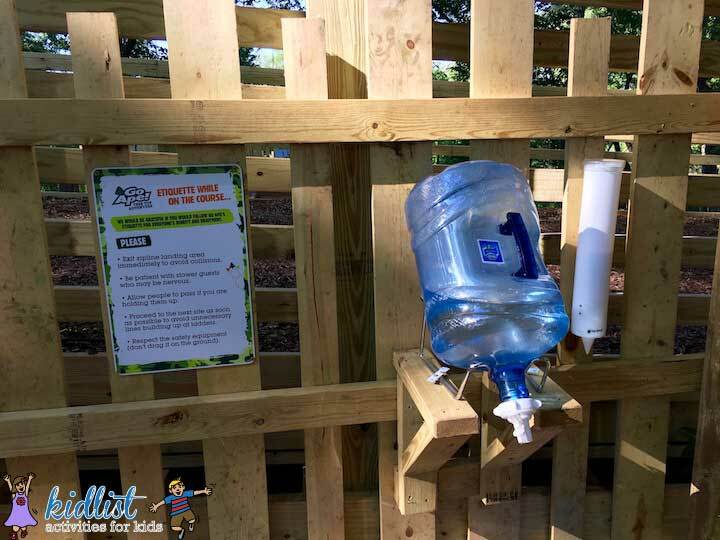 There are jugs of water with cups along the course, so stay hydrated! 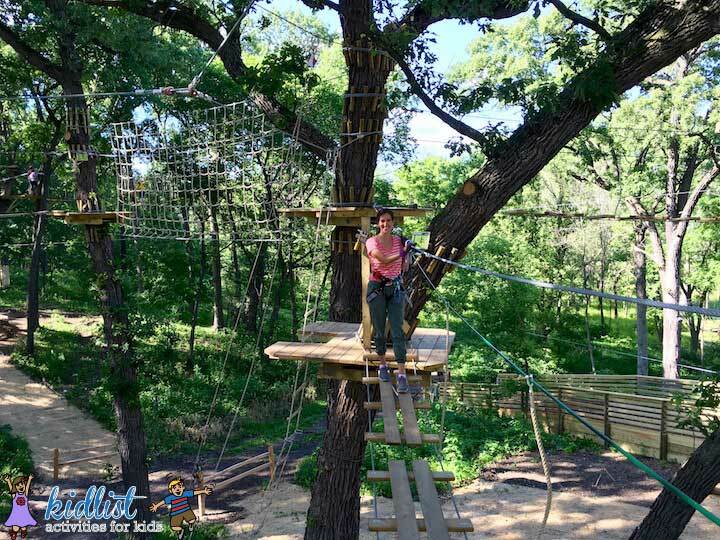 The 2-3 hour Treetop Adventure is $58 for ages 16+ and $38 for ages 10-15. (Note: Prices updated July 9, 2018. Check website to confirm current pricing.) There isn’t a time limit to complete the course, but the instructions and safety checks take about 30 minutes and it took my husband and I about 2 1/2 hours to go through the entire course. I was pleasantly surprised with the value of the experience! Definitely worth it. What a great date, adventure with friends, or work team meeting! You can reserve your tree time online. Click here to go to the Go Ape website and register online. 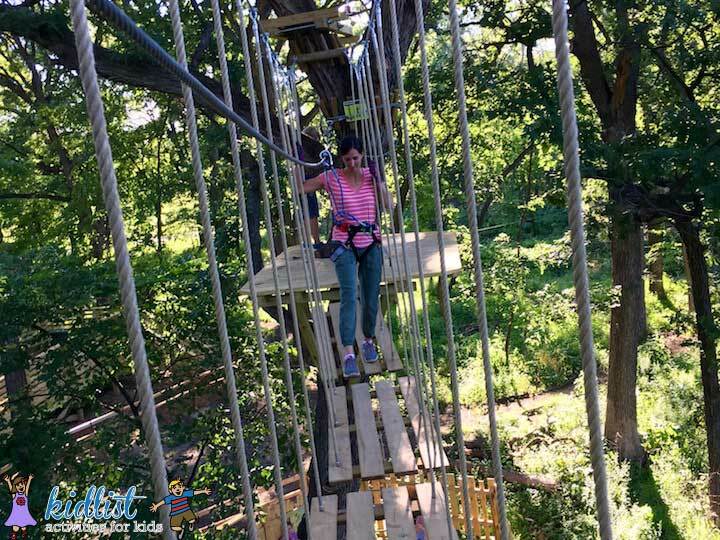 The course requires upper body strength and the ability to climb a rope ladder into the trees. That said, they have had a number of guests participate on Go Ape courses with disabilities. Prior to booking online or arriving at the course, please email info@goape.com to discuss your specific needs and to book your tree time. They also recommend visiting the course prior to your adventure, if possible, to take a tour and speak with their staff about any concerns. Anyone not participating is welcome to watch and walk around the forest preserve. There are paths around the course and the area is not restricted to just those who pay. So if friends and family want to come to watch or take pictures of you swinging through the trees, they should! This post brought to you by Go Ape, but all opinions and photographs are my own. 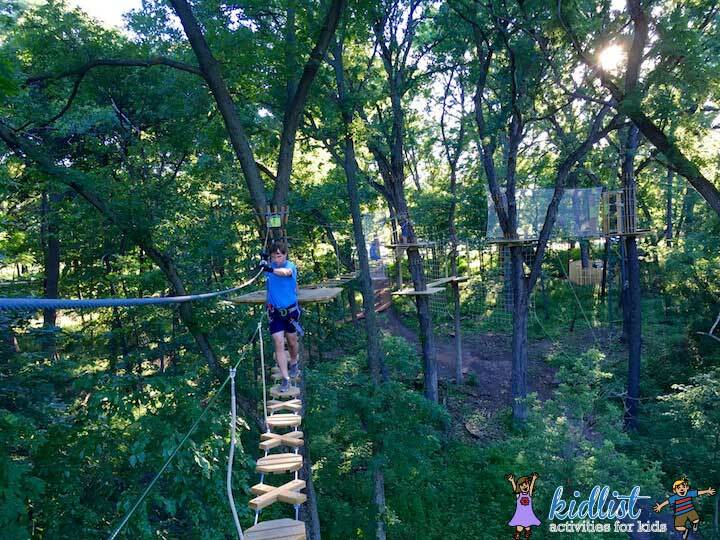 Be the first to comment on "Go Ape Chicago: Zip Line and Treetop Adventure"